First, we created and implemented our Custom Targeting Model in 2011 and became the only company to make “Local Online Advertising” excel in Local markets. Second, we created AMD our ad buying platform that is in effect a DSP in 2015, but built it from the ground up. Now we provide the best return on investment for Local Advertisers that capture predictable revenue gains from their local communities as it should be. Local online advertising is nothing like national online advertising. We found this out when we started doing a lot of Local online advertising in 2010. We just could not get enough web traffic using the digital status quo that targets User’s. So having traditional media backgrounds, we spent the time to create and perfect a targeting model that would excel in Local Online Advertising. The result is our Custom Targeting Model AQUA PRE-TARGETING™, introduced in 2011, that does excel in Local Markets because it has 100% local reach, 100% transparency, and 100% viewability which is something the digital status quo that uses “cookies” and targets User’s cannot do. The great thing about our Custom Targeting Model is that the local advertiser is getting in front of people in their own community on the actual websites they visit. With the right call-to-action, a local consumer might not just click on the ad, but they might walk in the advertiser’s front door and start asking questions. National Online Advertising rarely has that kind of power. To be clear, if anyone is trying to sell you a digital product for local online advertising, it has to be the digital status quo mentioned above, which is not suitable for local online advertising. Aqua Media Direct’s Founder & CEO, Tom Doyle, has 35 years of Media experience including Traditional Media experience and has been active in the online magazzu watch display media space since the early beginning in 1997. 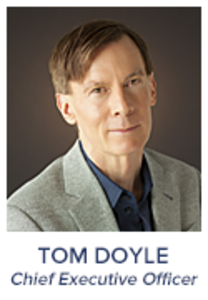 Doyle is a Media Consultant to Media Companies, and has helped many companies to increase their Media revenue with a constructive approach to adding digital sales to offset dwindling revenues due to generational preferences. Doyle’s earlier traditional media experience was as owner of a company that provided major market media planning, media buying, and integrated promotions for touring entertainment companies and their sponsors including Barry Manilow and Frank Sinatra (P&G), Neil Diamond, The Rolling Stones, and A Chorus Line, The Broadway Tour of America (Visa). Doyle started Aqua Media Direct in 2006 to make audience targeting more meaningful to advertisers. AQUA PRE-TARGETING™ is the culmination of this effort. Our company’s Custom Targeting Model is the ideal local online alternative to cookie based ads because our Custom Targeting Model, AQUA PRE-TARGETING™ targets brand websites without cookies, and uses sophisticated research to identify the audiences that visit them. Here’s a way to view how our Custom Targeting Model stacks up against the digital status quo “cookie based” model that is being sold in local markets today. SAMPLE: 100 people who are interested in purchasing an auto in any given local market. Our Custom Targeting Model was designed to be ideal for Geo-targeting digital ads to local communities and is unprecedented in it’s Local Online suitability. At Aqua Media Direct, we’re committed to our Local media client’s long term success, and help them to generate enough digital revenue to forecast year after year gains. For our Agency clients, we are committed to making our custom targeting model a strong revenue provider as a Premium targeting option. For our direct Local Agency and Local Business clients, you have the direct tools to tell your own story. Please contact us for more information.